Check your emails to see if you were invited to this Groupon Starbucks offer! 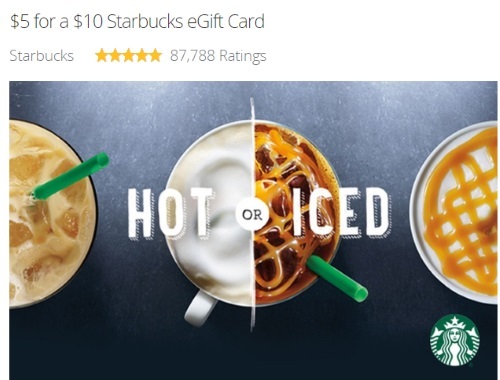 Get a $10 Starbucks eGift Card for only $5. Limit 1 per person. Valid in Canada only. Redeem Groupon voucher for a Starbucks eGift Card that can be used in participating Starbucks stores. Redeem online at http://groupon.starbucks.com. See Full Terms applicable to Starbucks Cards. See FAQ on this Groupon voucher. All voucher sales are final. Not valid with Groupon promo codes. This offer is invite only for a limited time.